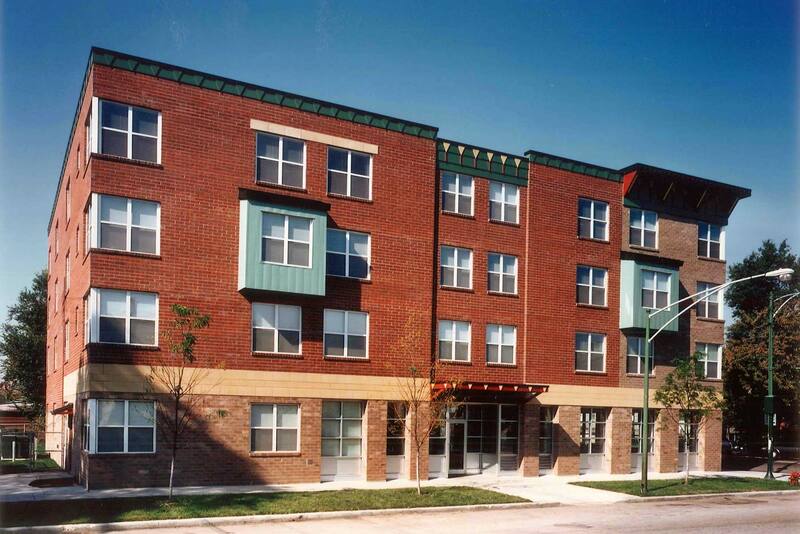 Located on west Division Street, the LUCHA West Humboldt Park Residence is a 68-unit, single room occupancy (SRO) building. 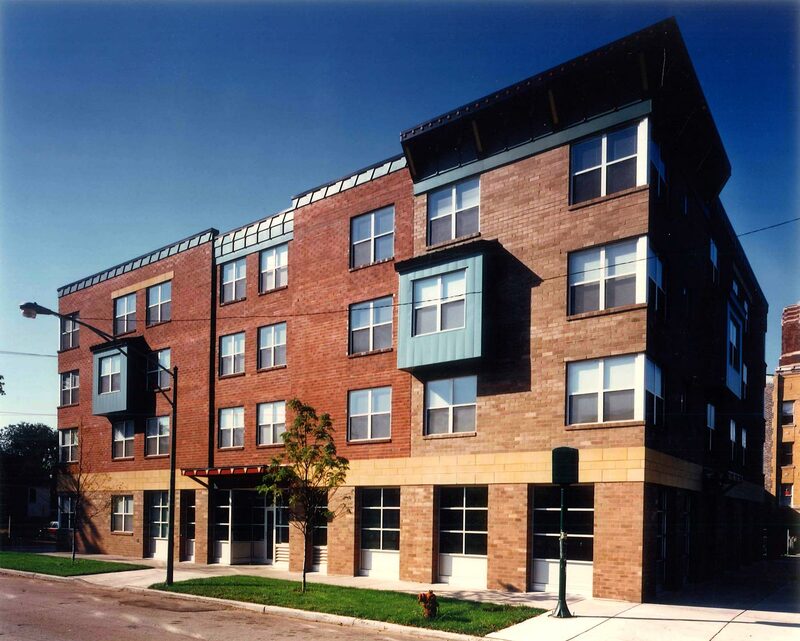 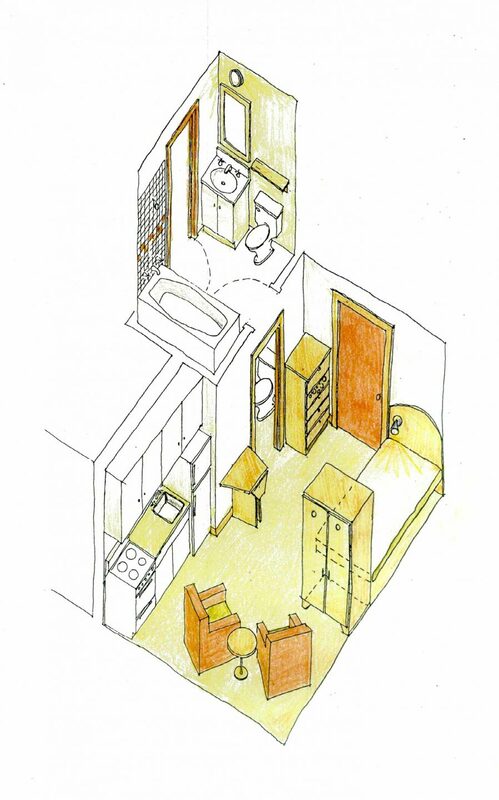 The SRO fills a community need for affordable housing for working people by providing residents with units that are compact and efficient, each containing a kitchenette and a shared bathroom. 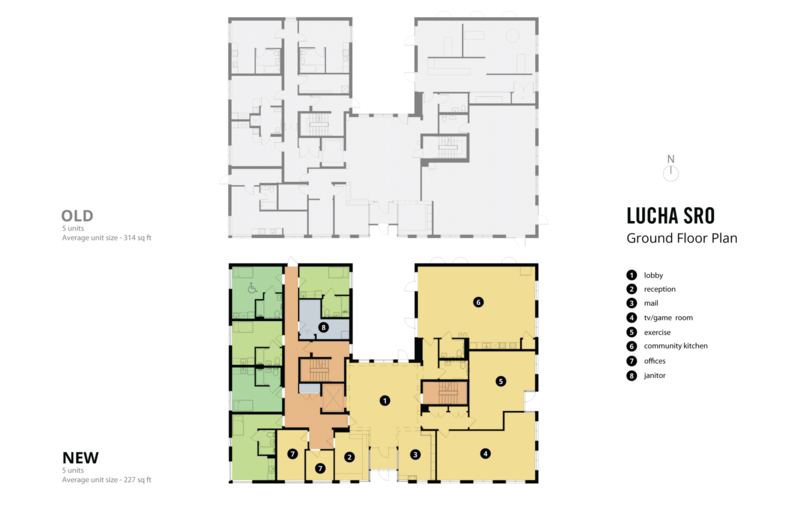 Common spaces on the ground floor include a management office, community space and public lobby opening to an exterior garden. 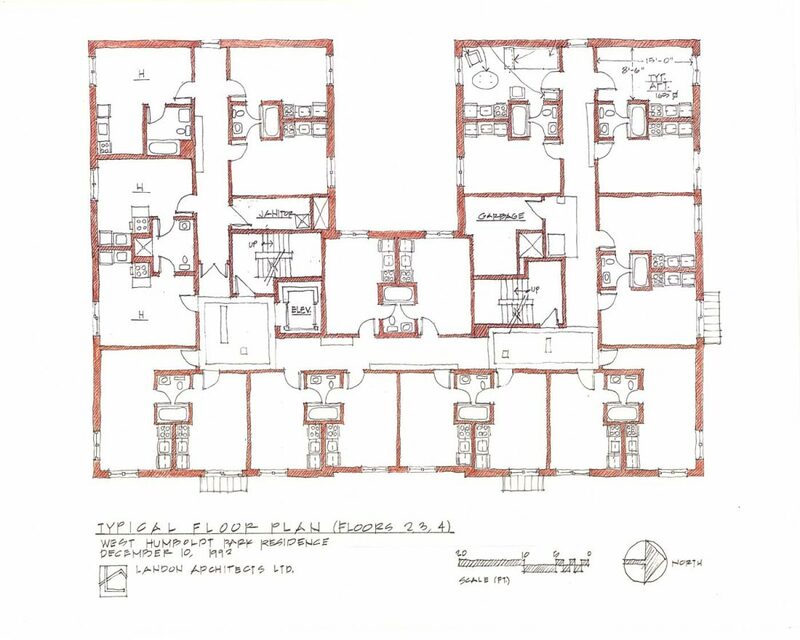 20% of the units and all the common spaces meet accessibility requirements and an elevator was provided to access all the floors. 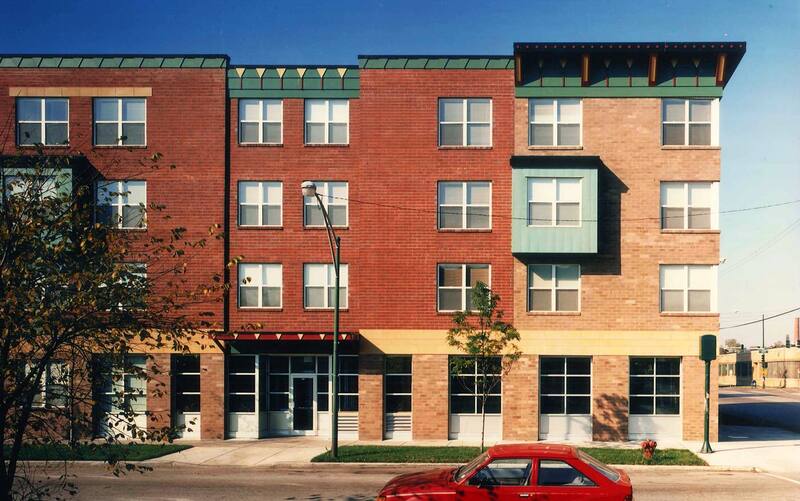 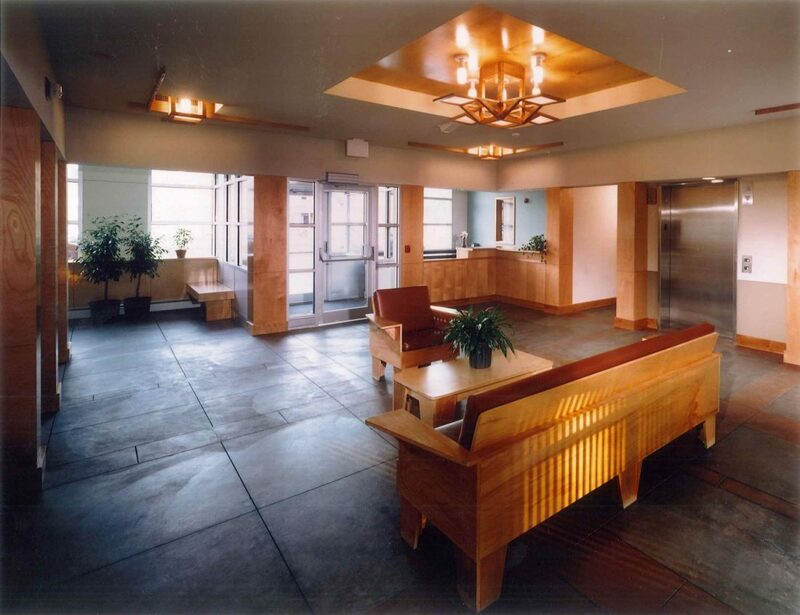 LBBA designed and installed site-specific, custom Knothead furniture for the units and public spaces which increased resident livability.